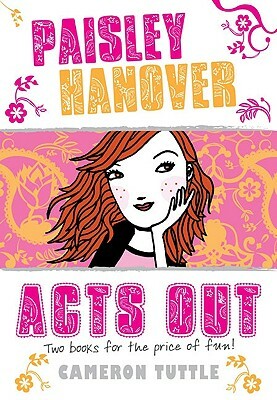 Always one of the popular kids, sophomore Paisley Hanover gets a rude awakening when she's booted out of yearbook and into the badlands of drama class. Out of her element but only momentarily out of ideas, Paisley takes action--and an unexpected liking to her drama buddies. The result? An undercover crusade that could bring down the popularity pecking order, and Paisley along with it. This is the story of how Paisley Hanover gets wise, gets bold, and gets into a hilarious mess of trouble. With a package as fresh and clever as Paisley herself-- including a cool slipcase, a fabulous novel, and Paisley's notebook of embarrassingly funny ideas and doodles--it's the start of a series that embraces the "Un" in UnUsual.